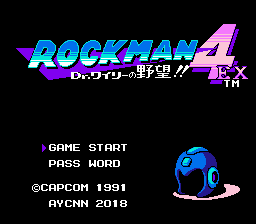 Rockman 4 EX: Dr. Wily no Yabou!! 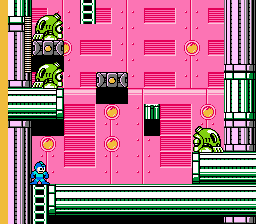 This is a complete level hack of Rockman 4. Some behavior of enemies and bosses have been modified, as well. The boss weapon weaknesses have been changed, too. This hack is definitely challenging, and will likely overwhelm you, but if you’re willing to push through all of that, you’ll find something special. 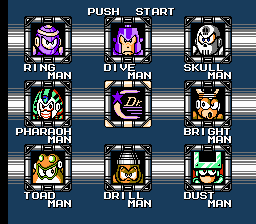 Full disclosure: I love palette swaps, and this has them in spades; I don’t think a single enemy has retained its original color. 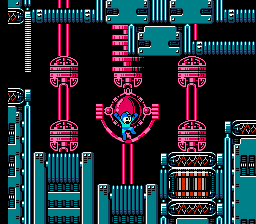 Stages are very colorful, as well; Toad Man’s being my favorite in terms of palette. Even the way that things are put together is beautiful; Drill Man has a dark underwater section (in fact, there are a lot more underwater sections, making Rush Marine more useful), and Pharaoh Man has these neat little hatches high up into space. Sub-bosses show up in stages different from their originals, as well, which really switches things up. 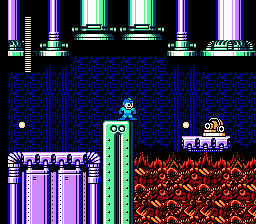 The Giant Mettaur boss has a really neat aesthetic, too. I wouldn’t call this a masterpiece, perhaps, but it’s still quite interesting, especially from a visual standpoint.